Leave the madness of Bourbon Street and the French Quarter behind and explore New Orleans' serene side from a kayak. Bayou St John runs through the city, so paddle along with Kayak Iti Yat (tel: +1 985 778 5034; www.kayakitiyat.com), past St Louis Cemetery and the charming Spanish Custom House, whilst guides explain the local history. Flanked by lakes, swamp and sea, there are plenty of water-based activities to be enjoyed in New Orleans. Joe Rugs Water Adventures (tel: +1 504 621 3858; www.joerugswateradventures.com) offer the most, from airboat swamp tours and fishing trips, to kayaking and sunset cruises. They also operate a convenient shuttle service to and from the French Quarter. 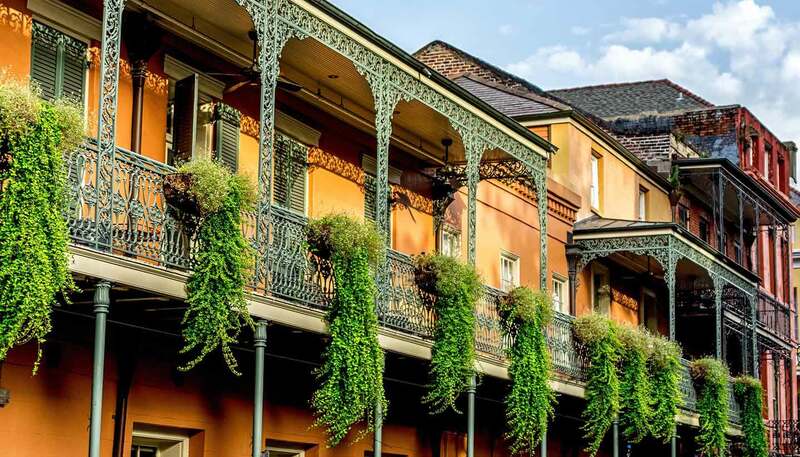 With Hurricanes, Brandy Milk Punch and the pleasingly potent Absinthe Frappé, New Orleans is as famed for its libations as much as its food. Slurp your way through a selection of the best, with Drink and Learn (tel: +1 504 578 8280; www.drinkandlearn.com) as your guide. Be warned though: you have to find your own way home. Whatever you enjoy about Louisiana food, whether it's the Cajun hit in a crawfish dish, a traditional Creole jambalaya (meat, vegetable and rice dish) or just the lively names, a cookery school can help the holiday linger even longer. At the New Orleans School of Cooking (tel: +1 800 237 4841; www.neworleansschoolofcooking.com), pupils can get hands on with a gumbo or just watch an open demonstration. A dying sight, take a cruise on one of the Mississippi river's few remaining paddle steamers. Steamboat Natchez (tel: +1 504 569 1401; www.steamboatnatchez.com) departs from the French Quarter for a two-hour cruise of the Port of New Orleans. Passengers can see inside the engine room as well as enjoying live jazz and even dinner.